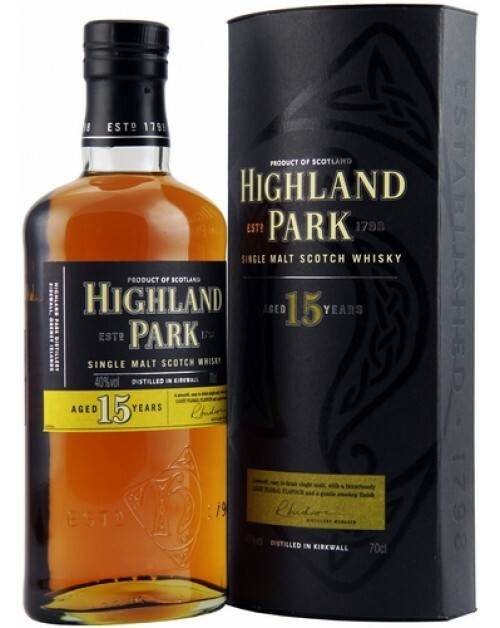 Highland Park 15 Year Old Single Malt Whisky was released in 2016. It is a smooth, balanced single malt, with a rich full flavour and a long lasting smokey finish. A lovely whisky from Scotland's most northerly distillery. Nose: Light smoke, sea spray and lemons. Palate: Smokey then full on malt with raisins. Finish: Long with subtle smoke.